PayKickstart, supports SEPA wire transfers. In order to accept SEPA wire transfers, you must have a Stripe account. Step 1: Inside your Stripe account, go to Payments >> Settings and request an invite to SEPA Direct Debit. 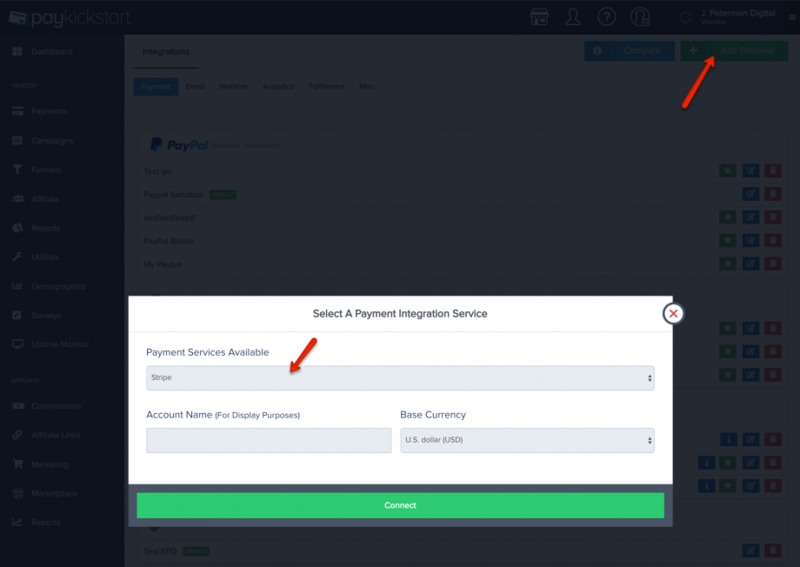 Step 2: Add “Stripe” as a Payment Integration (only necessary if you didn’t already add payment gateway). Make sure you select Stripe and follow the instructions to connect your account. 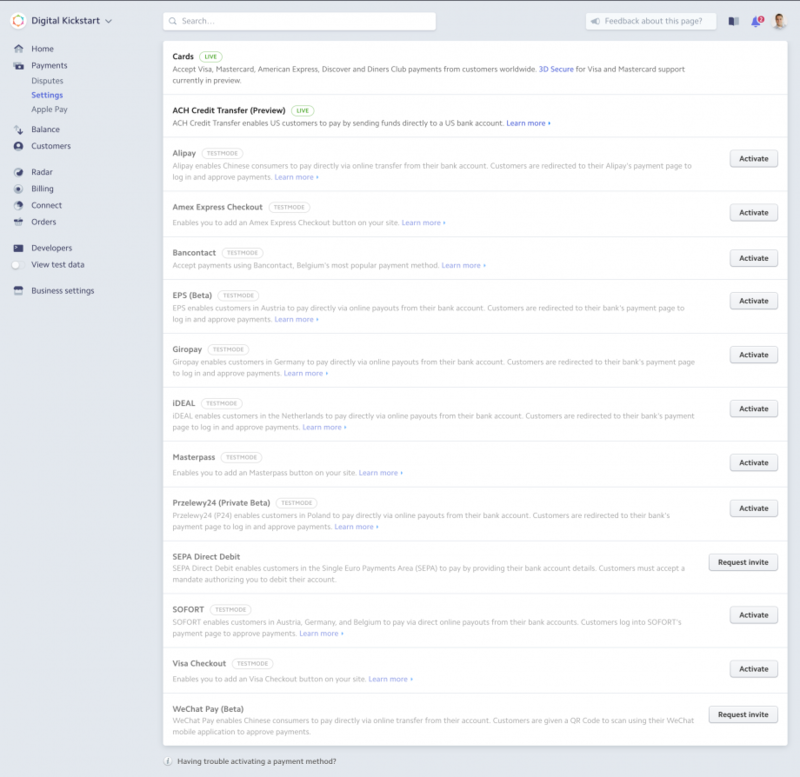 Step 3: Click on “Campaigns” then click on the Edit icon to get to the Campaign Settings page. In the Campaign Settings, Enable Wire Transfer and select the payment gateway account you just added on the Integrations page. Thats it. Your checkout page will now have the wire transfer option for your customers to pay you with. Note: SEPA Direct Debit is a pull-based, reusable and asynchronous method of payment. This means that you take action to debit the amount from the customer’s account. It can take up to 14 business days to confirm the success or failure of a payment. Note: Refunds which are requested within eight weeks of the SEPA Direct Debit being debited will be provided by a payer’s bank on a no-questions-asked basis. What Currencies & Countries Does PayKickstart Support?